My garden is large and well shaded providing a welcome refuge in summer and homes to many creatures – naughty and nice. My challenge is to build the veggie garden where it will receive enough sun. The proposed site currently receives full sun for about 2 hours of the day, and dappled sun for another 2 hours – considering that it is the middle of winter, this may be adequate. Existing food plants at the beginning of this productive veggie garden project are: 1 mandarin tree and 1 paw paw tree.There is a resident possum in the garden: it ate all the mandarins in June. 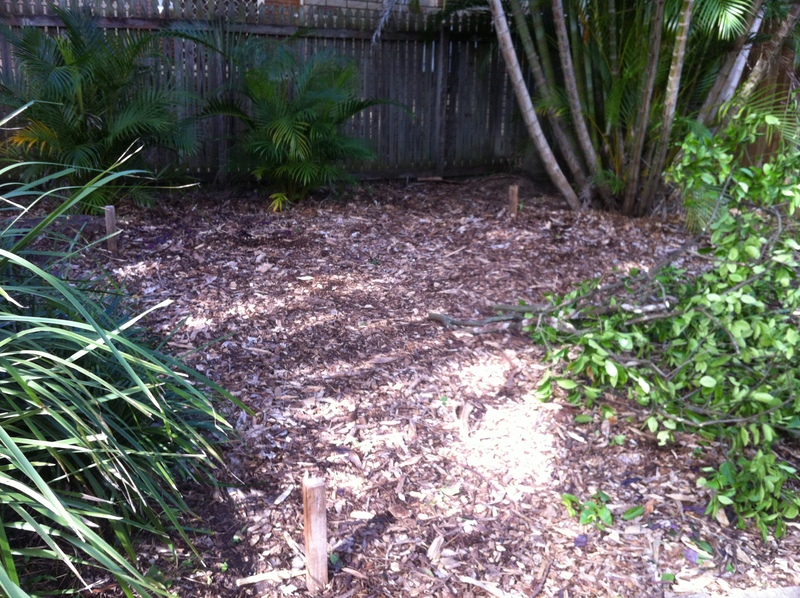 This entry was posted in Uncategorized and tagged siting the vegie patch by eatmysilverbeet. Bookmark the permalink.